Morphing Of Arms Can't Contain Them Or Keep Them Alive ! babies and the same with so many other animals! like creatures. And the explanation in these photos are at least one idea. Notice how Martians love to morph to delvelop a story of destruction! objects are dropping and being ruined. Please Pay Attention To The Act Of "Morphing" As The "Shoe Drops It Creatures"
Morphing Involving Pig - Like Creatures And Dealing With Pig-Like Creatures Sticking Out ! Hand, Fingers and Shoe Morphing To Tell Story About Mars Surface Being Smashed? I had to lighten the shadow part to see amazing things ! There seems to be a morphing of odd looking arms folded. As if trying to hold creatures. To me, this seems to be a memorial of martian's creatures. As if trying to hold them on Mars. To try not to let them die, but of course most did. Unless you count reptiles etc. That could go underground and hide to an extreme ancient calamity. Curiosity Rover ! Arms are used there. But there appears to be 3 arms. In my opinion they could be intentional, in that they are morphing to tell a certain aspect of loosing their creatures. So many floor sculptures seem to have "morphing" in them. When you look at Curiosity photos. Notice odd looking arms and how they seem to repeat, also "hands" "fingernails" etc. and notice thousands of tiny fish faces as if saying the martians lost their sea, ocean and river like water ways and the creatures inside them ! Morphing Hands Seem To Be All Over This Image ! Which leads to believe that the portion of the hand's location is very important as to meaning! As to location of the sculpture involved in relation to the hands. Morphing Faces And The Important Of "Fish Faces" And A Repetition Of A Dagger ! The martians will morph faces with in a face for story clarity! tiny areas to bring out the martian story! and their planet destroyed in extreme antiquity ! So very many are memorials ! ​At left side of image below ! Notice the faint outline to the right of what looks like a seal "morphing"! and to me, it appears to be in agony! And at the bottom it seems dead. pup or baby seal. Seems to be made with a morphing of the character in mind! fish look is a staple of their meanings in telling their sculptured story. It appears that Curiosity Rover is taking images of "outside floor sculptured stories". And the seem to be repeated constantly in the fashion of memorial sculptures! Notice how much morphing is going on in the image. left when you are facing the image! Please Zoom for photo and text enlargements ! Throwing Down Destruction In Extreme Antiquity To Mars and Destroying It's Surface ! Please ZOOM in for clarity of text and image as well ! Martians love to MORPH FACES ! Morphing Faces - very subtle but notice the difference from the two individuals. Compare the top parts of their heads to the bottom. Zoom in to see the circles and markers around the two lower parts of the faces! Another person further back ! ZOOM to see ! Odd looking person morphing from being hit, then loosing precious object ! White" motion markers lead to that conclusion! A result of the cataclysm in extreme ancient times when mars lost it's atmosphere? 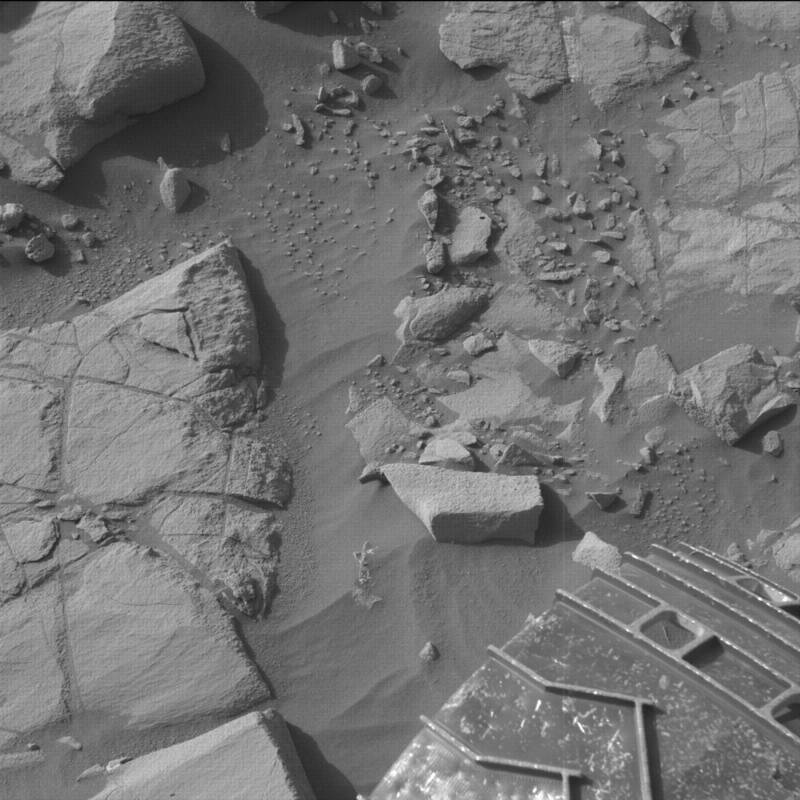 So much seems memorial-related that Curiosity Rover shows ! ​Martians really love to display "morphing" effects in their story sculpture. That and black eyes! Those are two very common characteristics in martian story sculptures. portray an action being done in martian stories ! motion markers. Again, please notice this ! August 19th, 2016 - update ! Important ! Notice "fabric-disaster" comparison to Startling 1 image ! For verification to what I'm explaining! UPDATE: To image 1: I thought hand was holding rock, now I realize that it has to be a sculpture metaphor for holding fabric, representing the surface of mars in need of repair, where all the buttons and holes that tied together mars, were in place in extreme antiquity. But because of the calamity that ruined mars, the buttons (the way mars was bound and secured together by nature - (GOD), were ruined, thus represented the surface of mars being destroyed in extreme ancient times! ​​Image 1 ties into image 2 ! 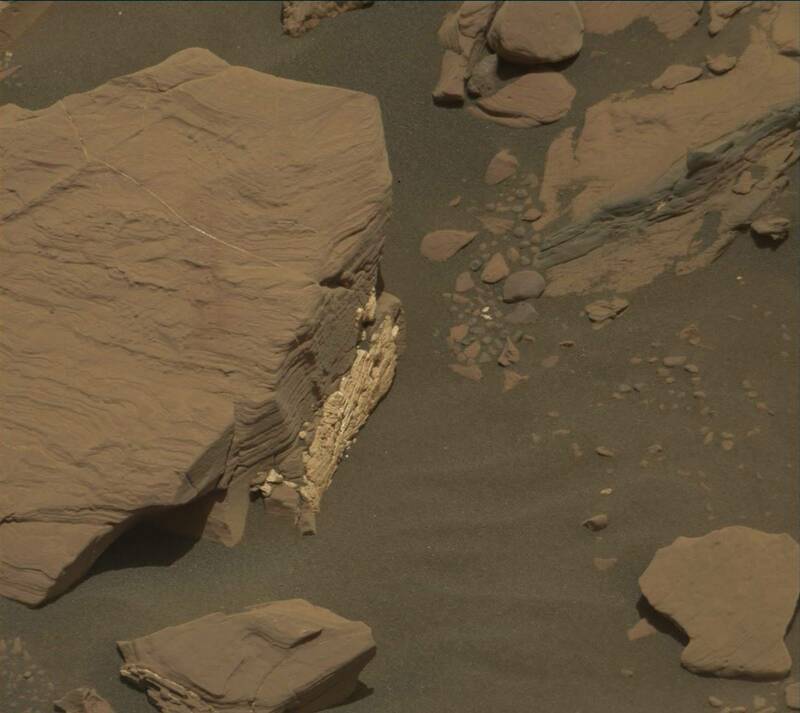 The "HANDS" at bottom left are pushing to the right, to mend MARS back together again. when the martian surface was ruined! Please notice those two "white" lined arrows! Morphing of a rock being carried from right to left ! Then a "hit" or a type of fight occurs. by the arm of calamity ! Curiosity has to be in memorial areas, in which it is taking photos of Martians dedicating sculptures to their loosing their atmosphere and their planet destroyed in extreme ancient times! material to look like rocks but NOT rocks. Bodies to form in segments, but not whole bodies. representations of bodies very subtly. If you think these are just rocks you are greatly mistaken. they must have whole teams to go over every square inch of each photo that comes out ! But it is just never talked about in public ! Morphing is in this image ! I've seen SO many examples of morphing that I had to make a section dedicated to morphing! parts to emphasize the story, which seems to be always centered around loosing their atmosphere and the destruction of their planet in extreme ancient times. So often you will see animals such as in this image which looks like a polar bear. But why I ask you, would there be any interest now of polar bears? There only has to be one reason for putting them in their floor sculptures and that is because they once had them. It can only be in extreme antiquity when the lost them forever. And they are telling about it big time. Curiosity HAS to be photographing memorial lands dedicated to the loss of creatures of all kinds and Martians are making stories about that loss of course in sculpture form ! This has to be a FACT ! Notice how the polar bear's feet or morphing to the right ! Please notice how incredibly descriptive Martians in their sculptures! Faces appearing in so many places ! Martians are simply masters of subtle detail, the likes we as earthlings have never seen before ! Their detail is amazing and it would be a shame that you the viewers do not see this, Because you would be missing a great thing I'm sure that the powers that be at Nasa are very excited about and well they should be, even if they do not say a word about it. But make no mistake there are some appointed ones at Nasa that have to be so excited to show these truly wonderful displays of such fine artwork. Not like sculptured artwork that we have on earth. But sculptured artwork that uses "white streaks" to show movement ! "Morphing" to show movement, where you see body parts continually repeating and changing sizes to help further their wonderful story lines, and messages they have to say about how their planet ended and they were forced to go underground to survive. There are truly sculptures that tell about such a story, of them having to go underground. Especially in the Startling 5 examples!